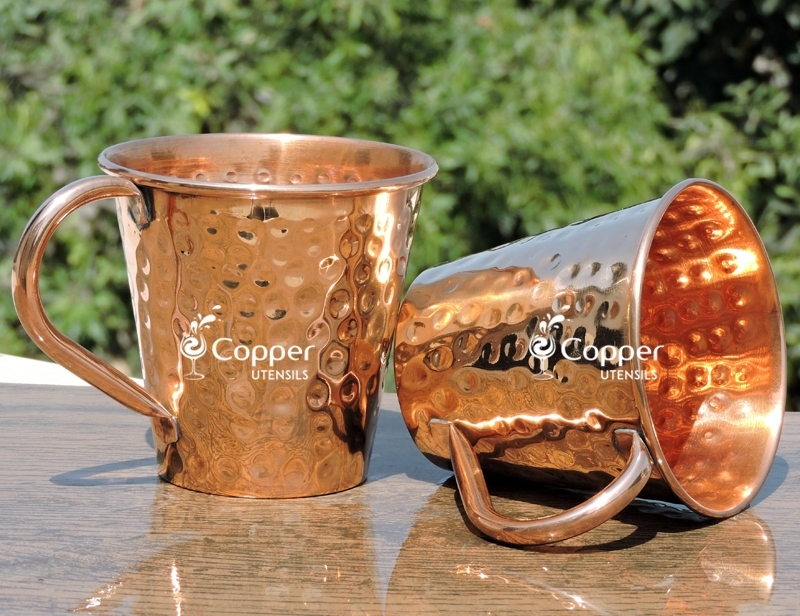 Made from pure hand hammered copper. 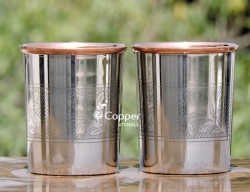 Hand crafted by Indian artisans. 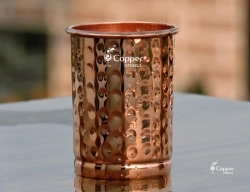 A unique addition to your cup collection. 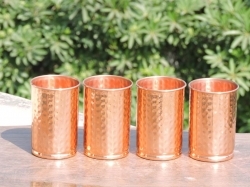 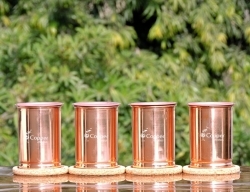 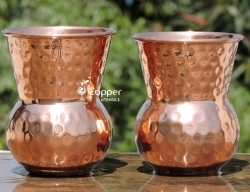 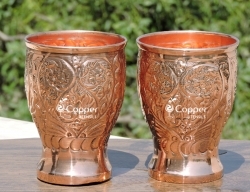 Ayurveda suggests the use of copper utensils for obtaining better healing power. 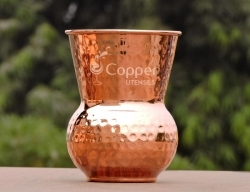 The use of copper for making utensils is at least as ancient as the Indus valley civilization. 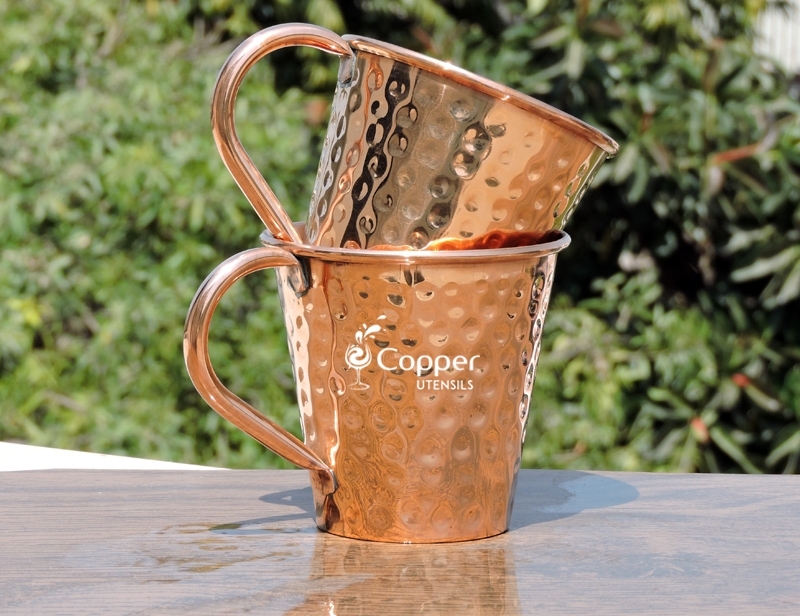 The inclusion of copper in your daily routine can be wonderful for the overall well-being of an individual. 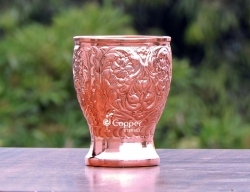 The enriching nature of the metal helps in curbing away several diseases including heart-related issues, thyroid, cancer, etc. 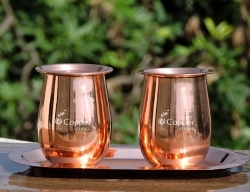 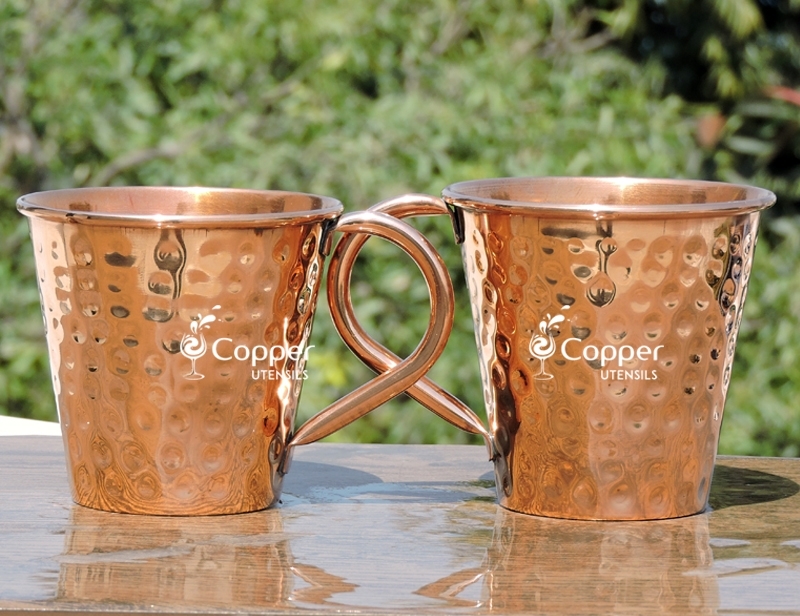 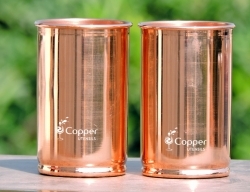 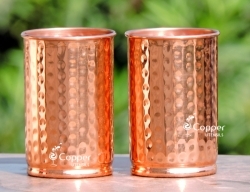 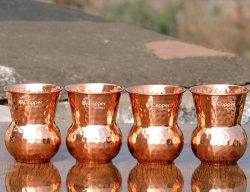 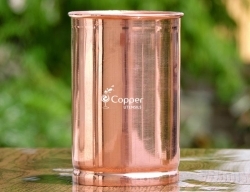 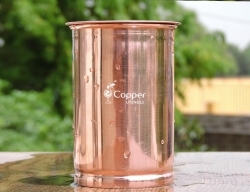 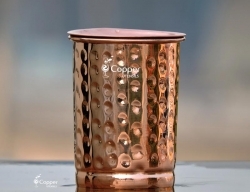 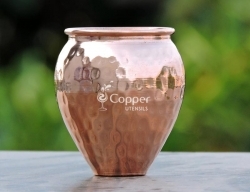 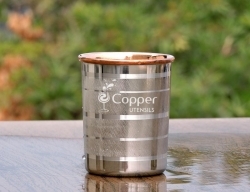 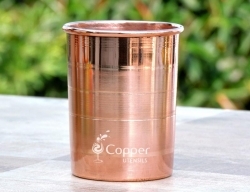 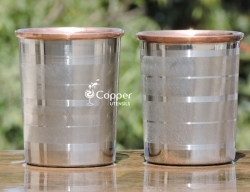 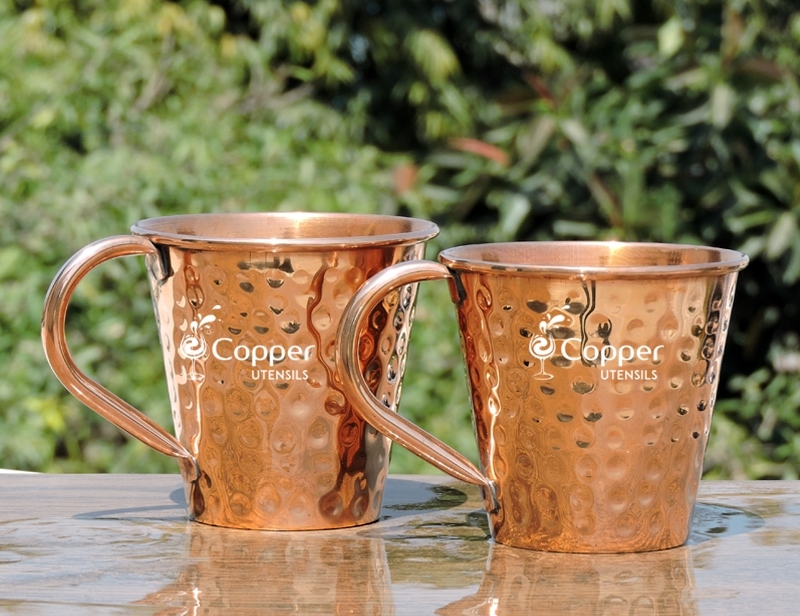 Our pure copper drinking mug is perfect for serving water or other cold beverages. 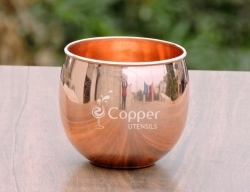 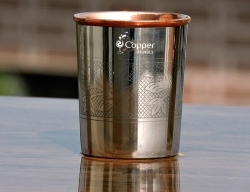 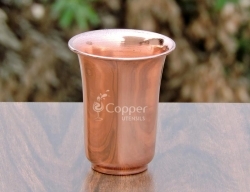 The hammered surface of the cup ensures that more surface of the copper comes in contact with the drink and you can get more benefits out of it. 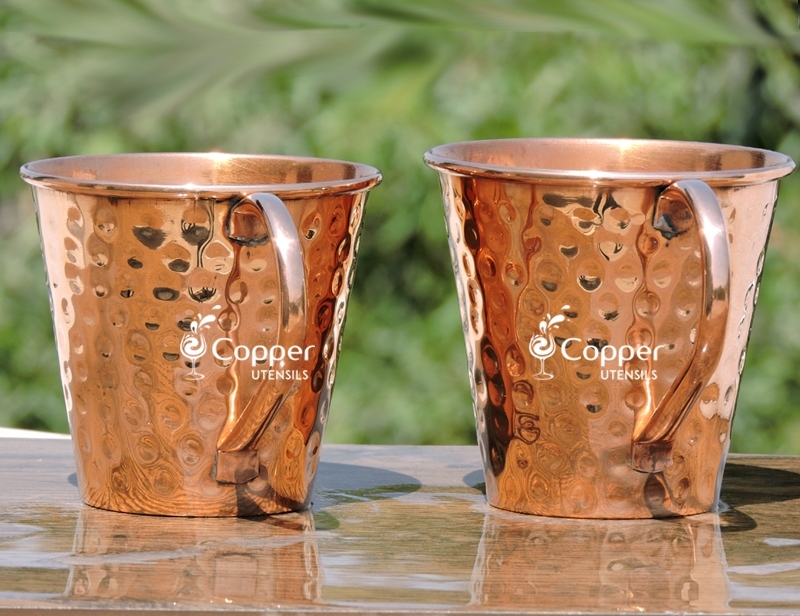 The copper mug is very easy to clean and maintain. 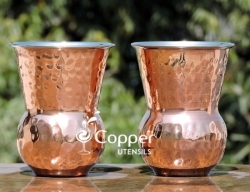 All you have to do is follow the instruction leaflet provided with all our products to clean the utensil.